He has also warned anti-Muslim Australians -- like the suspected gunman -- would be "sent back in coffins" like their grandfathers at Gallipoli, which was the scene of a blood-drenched WWI battle. "I am expecting, and I have asked, for these comments to be clarified, to be withdrawn," Morrison, who also faces an election challenge in the coming weeks. He described claims about Australia and New Zealand's response to the white supremacist attack as "vile." New Zealand Prime Minister Jacinda Ardern refused to be drawn on Erdogan's comments, but said her deputy would be going to Turkey to "set the record straight." 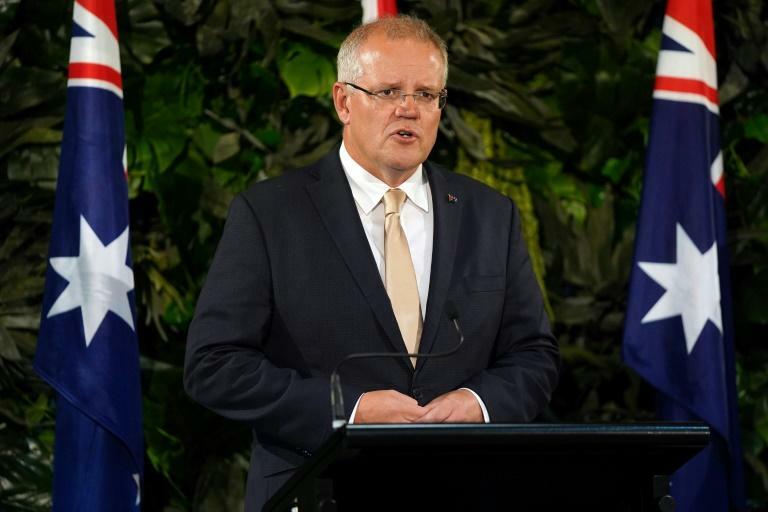 In fiery remarks, Morrison accused Erdogan of betraying the promise of Mustafa Kemal Ataturk -- the father of the modern state and a revered figure in Turkey -- to forge peace between the two countries. The accused gunman, a self-avowed white supremacist from Australia, live-streamed much of the attack and spread a manifesto on social media claiming it was a strike against Muslim "invaders".